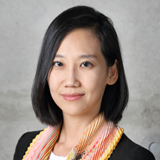 Dr. KIM Jiyoon is a senior fellow in the Public Opinion Studies Program at the Asan Institute for Policy Studies. Previously, Dr. Kim was a postdoctoral research fellow at Université de Montréal. Her research interests include elections and voting behavior, American politics, and political methodology. Her recent publications include “Political judgment, perceptions of facts, and partisan effects” (Electoral Studies, 2010), “Public spending, public deficits, and government coalition” (Political Studies, 2010), and “The Party System in Korea and Identity Politics” (in Larry Diamond and Shin Giwook Eds., New Challenges for Maturing Democracies in Korea and Taiwan, Stanford University Press, 2014). She received her B.A. from Yonsei University, M.P.P. in public policy from the University of California, Berkeley, and Ph.D. in political science from the Massachusetts Institute of Technology.